GREENBURGH, N.Y. — The greatest coach in NBA history took another stroll on the practice court recently, to supervise a workout of college prospects and, in part, to scratch a minor itch. "I've kind of gotten through a little coaching jag that I've had," Phil Jackson, grinning widely, said Tuesday. "And I realize that it's not my role to be on the court." 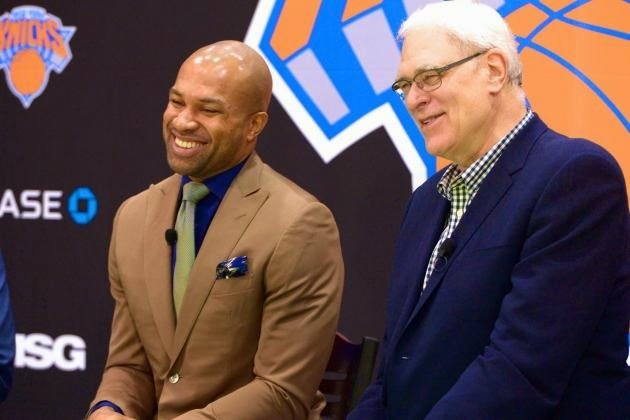 Any illusions that Jackson, at age 68, would coach again should be shattered by now, with Jackson firmly entrenched as president of the New York Knicks, and with his hand-selected protégé, Derek Fisher, now installed as head coach. There was never much of a chance that Jackson would pick himself for the job, although physically he is feeling better than he has in many years. You can also dismiss the theory—floated often, and without much basis—that Jackson will be the Knicks' shadow coach, a puppeteer working through Fisher. "This is where a young man steps in and has the energy to lead the team forward," Jackson said at Fisher's introductory press conference. "But I'm very willing to share what I have." The precise details of the Jackson-Fisher apprenticeship have yet to be worked out, but there is so much history and trust between them—nine seasons together, and five championships with the Los Angeles Lakers—that it's hard to imagine Jackson would do anything to overshadow his charge. As a longtime Jackson associate put it, Jackson "will be involved" as a mentor and sounding board, but "not in any way that would subvert the coach." Jackson might confer with Fisher before and after practice, but he will not likely be seen on the practice court himself. To do so would undermine his prized pupil, the first head coach he's ever hired. And it was abundantly clear Tuesday how eager Jackson is to see Fisher succeed. This was not the typical introductory press conference. 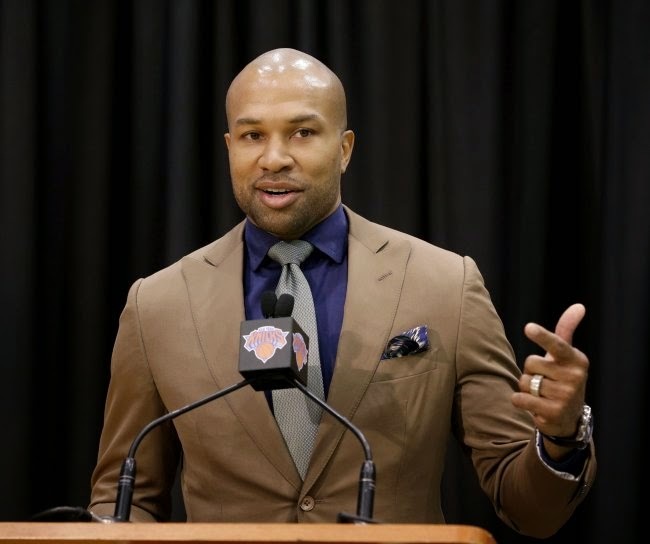 It was more like a coming-of-age ceremony, in which Fisher entered NBA adulthood (coaching) and Jackson played the role of the proud father, beaming from the edge of the stage while Fisher spoke.